Riverside Walk Map & Info. (40) From the Guildford Road keep the river on the left for some way and houses on the right. Cross a footbridge and after 400m follow the path past a footbridge on the right and continue to the right of a golf tee up to Warnham Road. Turning left leads to Warnham Local Nature Reserve (1) or right will take you onto the next part of the walk. 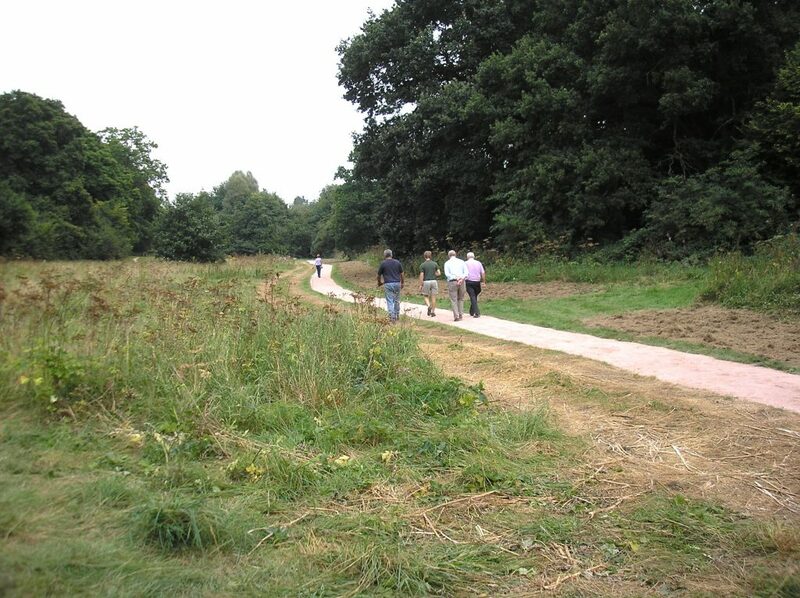 (1) From Warnham Local Nature Reserve the walk continues by turning left into Warnham Road and after about 100m turning right (carefully crossing the road) onto a signposted pathway through the trees. 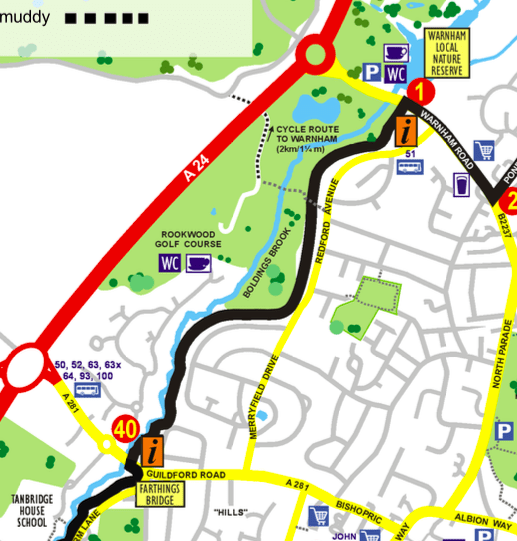 Follow this made-up path that follows the river all the way to Guildford Road (40).